Eurocom added an Intel Dual Band Wireless-AC 7260 card with Bluetooth 4.0 support to the long list of customization options available for its M3 gaming laptop. The Eurocom M3 13.3-inch gaming laptop became available for order in early August of this year, offering a wide array of customization options. Yesterday, the Intel Dual Band Wireless-AC 7260 wireless card was added to its list of Wireless LAN options. 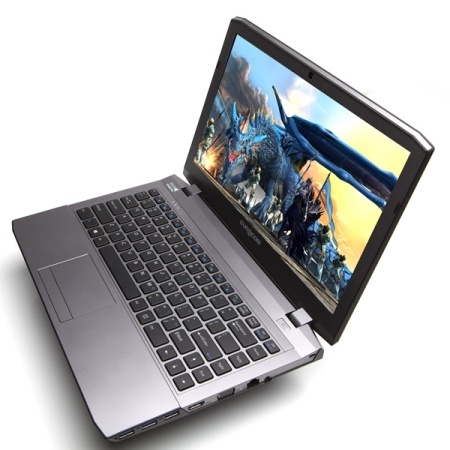 The specs of this gaming laptop are very flexible as customers have the ability to choose a processor, the amount of memory and storage, the operating system and one of the seven different wireless cards. Unfortunately, there is only one graphics card available, namely the respectable NVIDIA GeForce GTX 765M with 2 GB of GDDR5 memory. The base configuration of the Eurocom M3 includes a Core i7-4700MQ processor, 8 GB of DDR3 memory, a 750 GB hard drive and a Realtek RTL8188CE wireless card. The top version can feature a Core i7-4930MX, 16 GB of memory, two SSD drives and a HDD for up to 2.5 TB of disk space and the Intel Dual Band Wireless-AC 7260 wireless card. Priced at $50, the Intel Dual Band Wireless-AC 7260 wireless card supports 2.4 GHz and 5 GHz bands, delivering 300 Mbit/s for 802.11n and 867 Mbit/s for 802.11ac networks. The card has a 2x2 antenna setup and also features Bluetooth 4.0. For more details, please see the press release below.